SGI Charters offers a wide variety of fishing opportunities. Simply call our office at 850-370-0220 for all information and booking. 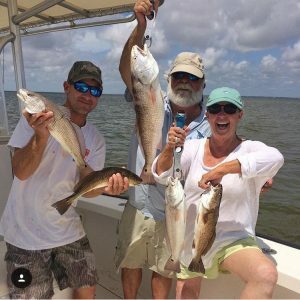 Our trips include offshore in federal or state waters, fishing the flats, or choose from a wide variety of custom trips. This could include dolphin watching, shelling on Little St. George or St. Vincent, or enjoying one of our magnificent SGI sunsets. We could even set up a real treasure hunt for the kids. 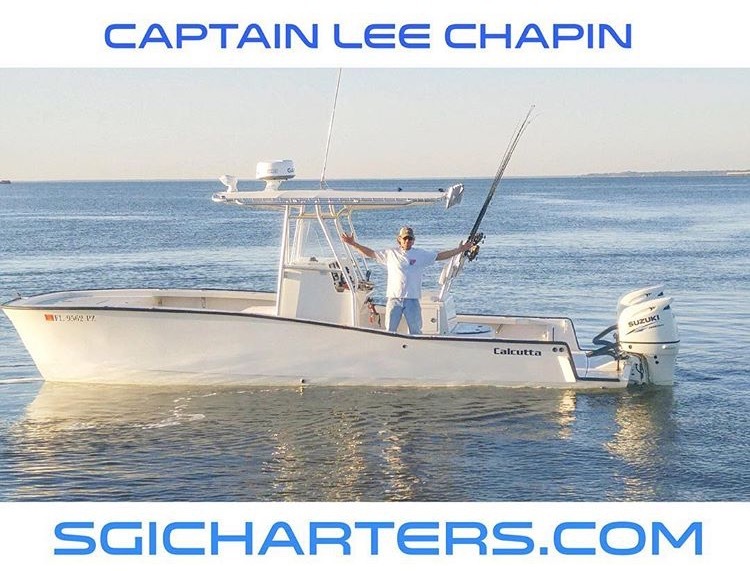 Captain Lee Chapin is the fisherman’s choice. He has guided tours for families, business groups, and celebrities. Paula Deen said, “We had a ball y’all!!!”. Your tour would be aboard Captain Lee’s 26’ 263 Calcutta Catamaran or Captain Cobles 23’ Parker. We will do our best to keep lines tight and reel the fish in.